After calling Huawei a threat to U.S. national security, telling allies not to use the company's networking equipment, banning its devices from U.S. military bases, and whispering to AT&T and Verizon that they shouldn't offer the Mate 10 Pro to its customers, the U.S. government is asking the company to provide testimony in the FTC's trial against Qualcomm. The ten-day non jury trial began on Friday as the U.S. Federal Trade Commission (FTC) tries to convince Judge Lucy Koh that Qualcomm acts like an anti-competitive monopoly in the way it licenses its patents. Both Huawei and Lenovo testified that Qualcomm threatened to stop providing them with chips unless they continued to pay Qualcomm's licensing fees. In a video deposition played in court, Huawei General Counsel Nanfen Yu explained that back in 2013, Qualcomm told Huawei that if it wanted to keep receiving CDMA chips, it would have to extend its licensing agreement with Qualcomm. Nanfen said that the chip maker made "it very clear that we have to sign a license agreement in some form. We had no choice." 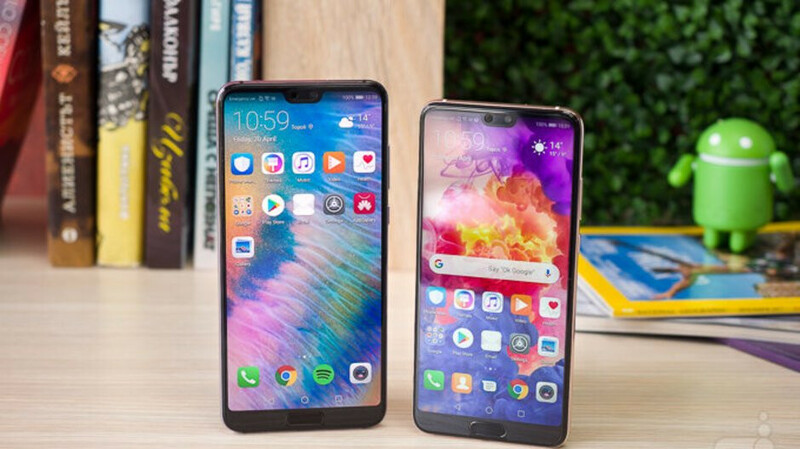 Qualcomm responded in court that it never withheld chips from Huawei or Lenovo even when they both were negotiating a new agreement for components to be used in both firm's networking equipment. The trial is taking place in San Jose, California, and runs through January 28th. If the FTC wins, Qualcomm will have to make sweeping changes in the way that it licenses its intellectual property. “”Qualcomm has in the past retaliated against customers who have attempted to challenge its legal terms by either delaying, or cutting off supply of chips.”” WOW. I am waiting for Apple haters to make this about Apple and continue to support QC without bothering to understand the case to begin with. Don’t underestimate the power of their irrationality. F Apple and all, but F QC too. The iFans don't get it, but you can be critical of a company and appreciate their products. QC needs a kick in the nuts to open up their Monopoly and let competition return, no doubt. But Apple needs to lose every one of their lawsuits to QC because not only did they themselves stifle competition by arm twisting, patent trolling and forcing obselescense, but also because they have been killing innovative companies using their purchasing power for no other reason but to increase margins. QC punching them in the mouth might mean that the next company Apple plans to kill may yet put up a fight and survive. No, because a verdict against Qualcomm would be a win for Huawei and everyone else that needs to licence their chip technology. If nobody testified against Qualcomm it could look as though they were all perfectly happy with their current licence agreements and Lucy Koh could either dismiss the case or find against the FTC... To summarize: It's in their best interests to testify. I agree Subie. Some people call it irony, but in the end QC affects everyone involved. A real case of the enemy of my enemy being a friend. Can't have companies becoming greedy and stifling competition with basic tech that's pretty much needed to make things work. I agree. And in the end Qualcomm will still get payments for the IP that they own; Just at a more reasonable rate. Agreed, Subie. Some people don't understand what the reference of the irony mentioned is, but this will indeed make sure Qualcomm licensing their IP at a reasonable rate. Yup, of course I'm some people will favor reasonable given that they are ok with patent bullying and defending ridiculous patent claims. It's hilarious that you talk about anyone being ok with patent bullying with the way you used to champion Apple against Samsung during their court precedings, mxyzptlk. I've never championed Apple on anything of the sort and I challenge you to find a comment that shows me doing otherwise, MDCHO. Lol, yes you have. With your mxyzptlk and Flash accounts. Lmao irony indeed. But as it seems to always do with its dealings with the U.S. government, Huawei is acting in a professional manner. From what it seems also is that Qualcomm likes to use strong arm tactics it’s licensees. Qualcomm is acting like Apple? Greed is strong... LOL Joking aside I hope QC lose. This is nothing but US administration helping out Apple to get Qualcomm's extremely superior modem technology for free! If not, Apple devices will be left even more behind the curve. They already are though. US fears Apple going down the drain the most. It's the sole Big Smartphone brand left based in USA. If it's gone too, USA would lose out on a lot of stuff. Too precious to allow being tanked. Looks like I was right, monkeyb, the irrational has no limits. Abhid, few things you are missing: - QC is also a US company. - QC has received the patent only after accepting FRAND terms. - QC has been voilating FRAND rules from the get go. (This has nothing to do with Apple) Is your argument that QC need not follow rules it accepted because they escaped all these years? And an average Apple customer does not care about the modem. They only see A series chips in all marketing. The average consumer cares about cost, new design, camera, storage. There are many other things but these are most important for average consumer is what I feel. "QC has received the patent only after accepting FRAND terms" No it didn't, you just love making stuff up. Patents are not granted on licencing terms, the USPTO does not have that power. If you are granted a patent then you are granted a patent, FRAND licencing is sorted out later after the patent becomes industry standard and is a voluntary agreement, the owner of the patent does not have to accept the FRAND licencing. Eh. I tried to simplify things to make it easy but since you asked for it, here you go: - A patent becomes standard-essential when a standard-setting organization sets a standard that adopts the technology that the patent covers. - If the patent holder refuses upon request to license a patent that has become essential to a standard, then the standard-setting organization must exclude that technology. It means that if QC would not have accepted the FRAND terms. The “Standards Organization” would have selected some other technology from a different patent holder to be the industry standard. Then QC would have been licensing someone else’s technology on FRAND basis to incorporate in their modems they want to sell in US. You are correct that companies voluntarily agree to be a part of FRAND. But They are not doing this out of love for mankind. They are doing this to receive the benefits of FRAND. As someone commented for my post above, F Apple and F QC. Whoever cheats the system need to be punished. This has trump written all over it. I wish TI and Nvidia were still in the mix. I realize that you want more competition,which I also agree with, but just FYI, Nvidia massively engages in anti-competitive practices. QC (if wrong) seem like a child in front of Nvidia. Unfortunately, I am not aware of the nitty -gritties of this Apple&Others vs QC argument, so I cannot take sides here, but the fight would be much more ugly was Nvidia in the fray. If Apple and the FTC have enough evidence to convince the court, they could still win without Huawei. U.S. Is playing a game here, they already this would happen. So they so called banned Huawei and now they want to play Huawei out. Probably they said testify and we will lift the ban. This just playing games on a high level. I would never testify if i were Huawei. Fruit company and U.S should know they their place, neither are running this world!